Look at all the layers. Amazing. It’s amazing – when you stumble across a new piece of information it seems to then pop up everywhere. This is true of autoloysis. I spoke about it in my baguette post two days ago. It made some stunning bread. Essentially, autolysis in dough-making is the mixing of water and flour and letting it sit. The enzymes in the wheat are activated and begin the process of developing the gluten strands. For bread, this turned out to be a really good thing. But this is pastry. 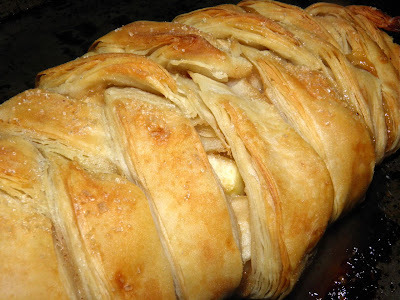 Very “flaky” pastry, and the technique – which I didn't know the name of three days ago – improves the end result. I put flaky in quotation marks because this isn’t flaky like pie pastry. In pie dough little bits of shortening or butter are distributed in the flour and make the individual flakes. 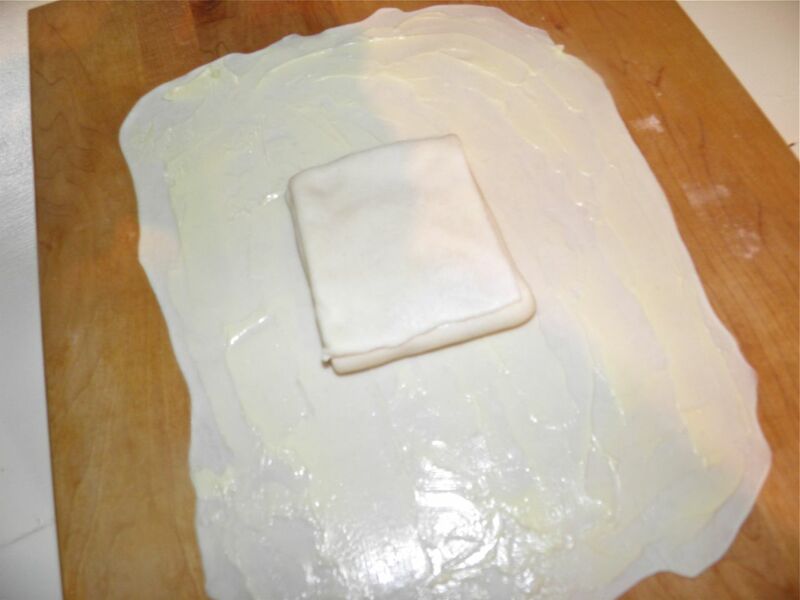 This dough is flaky like phyllo, but shaped in a block, not individual sheets. Kneaded and ready to rest. I am of the opinion that the resting made it far easier to roll out extremely thin sheets of dough without breaking or tearing. Let me explain how it’s made. The flour and water is allowed to rest and then divided into four pieces. Each piece is rolled out as thin as you can possibly get it. It's far more pliable because of the autolysis action. 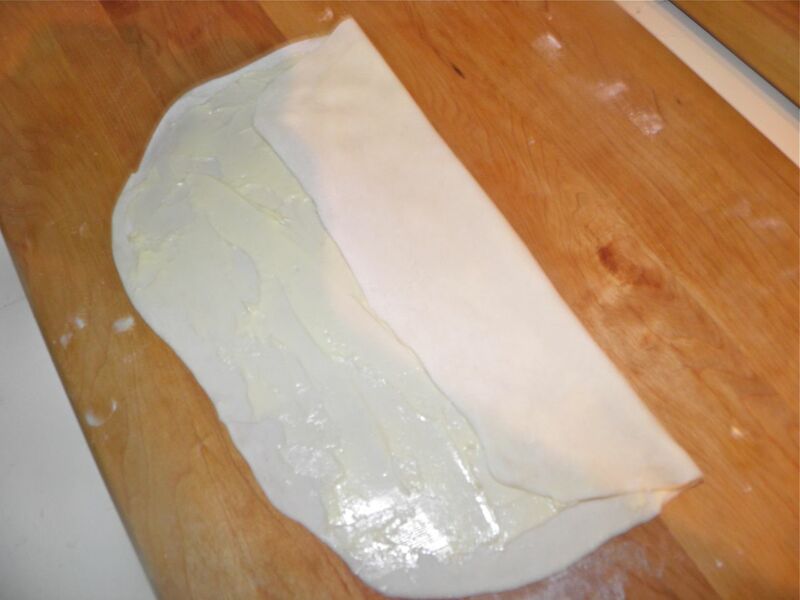 Softened butter is then slathered (no other word for it…) on each sheet and it is then folded up. 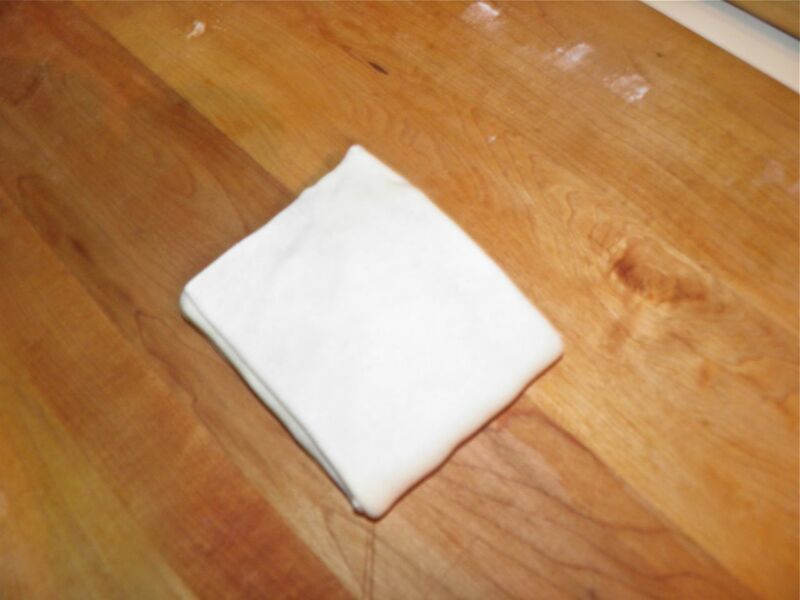 That "envelope" of dough gets put in the centre of the next piece of rolled, buttered dough and folded inside. This is repeated for all four pieces. So you have many, many layers of dough separated by many, many layers of butter. What you get in the end is sort of a “puff” pastry but not with all the gnashing of teeth that accompanies cold butter being beaten into submission. Mind you, the end result is not quite as tender. Divided and ready to roll. This dough is more for delicacies like Spanakopita or cheese pie where flaky yet a little more substantial is required. But I’m not saying this is “tough”. A note: the thinner you roll the individual sheets the flakier and more tender your end result will be. It takes a little elbow grease but well worth the final result. Roll, roll, roll!! It can be used for pastry if you wish. I made an apple braid (photo at top). Just be prepared for something a little more sturdy than a flaky pie crust. It’s quite stunning to look at and pride-inducing to think you made all those separate layers of dough. This is not a quick technique but well worth the (minimal) effort. It took me 1/2 hour to roll and fold all the dough together. But look at the picture at the top of the post. Don’t you think it’s worth it to say “I did that”! 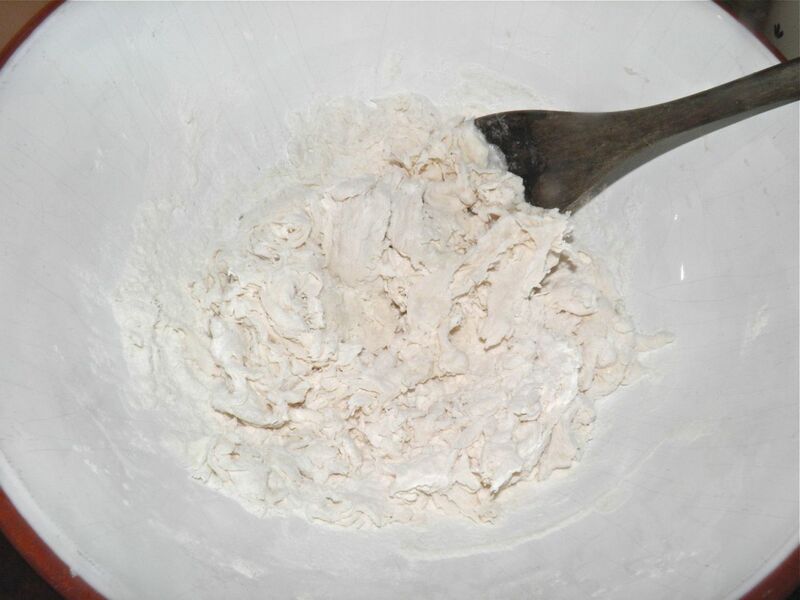 Place the flour, baking powder and water in a bowl. Mix together and then knead until you have a fairly smooth ball, about 5 minutes. After the 30 minutes you will see the dough has relaxed somewhat. Cut into four equal pieces. Using a little four as possible, roll each piece out into a square about 16” x 10” (if you can). Roll it as thin as you can reasonably get it. The result of the first folding. Take 1/4 of the butter and cover the face of the pastry. Starting on the long edge, fold it in thirds, like a letter. Butter the face of the dough and then fold in thirds again. The end result is a rectangle of multilayered dough. Do the same with the remaining dough, except before folding place the already folded dough in the centre and fold up around it. When you’re done you’ll have a block of dough that looks like store-purchased puff pastry. 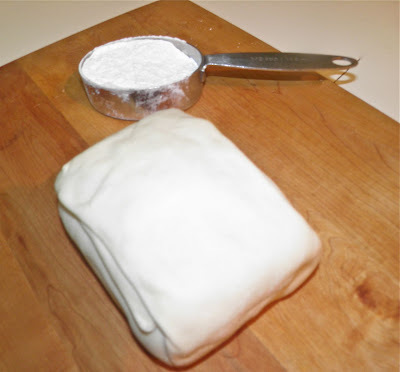 Cover in plastic wrap and put in the refrigerator until ready to use, substituting this dough for that in your recipe. on it. 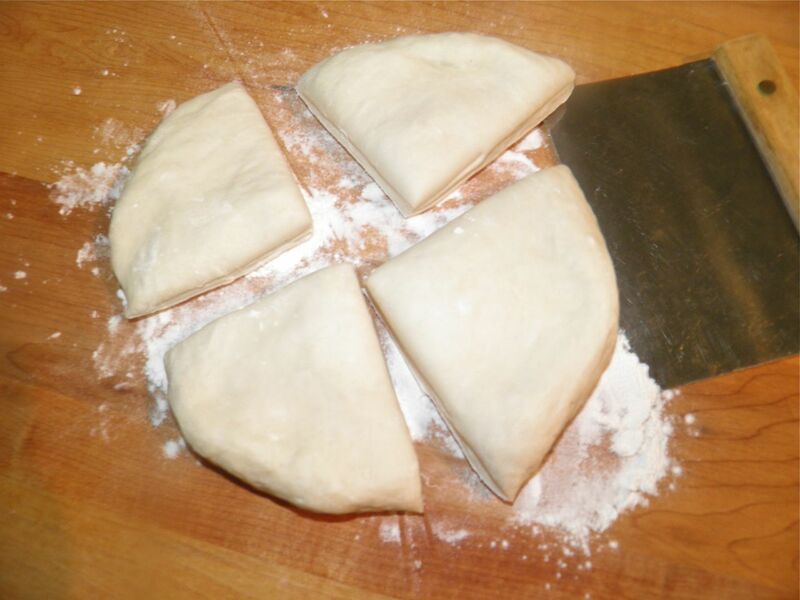 Then fold the dough around it. Repeat with each piece of dough until you have rolled, buttered and wrapped each piece. 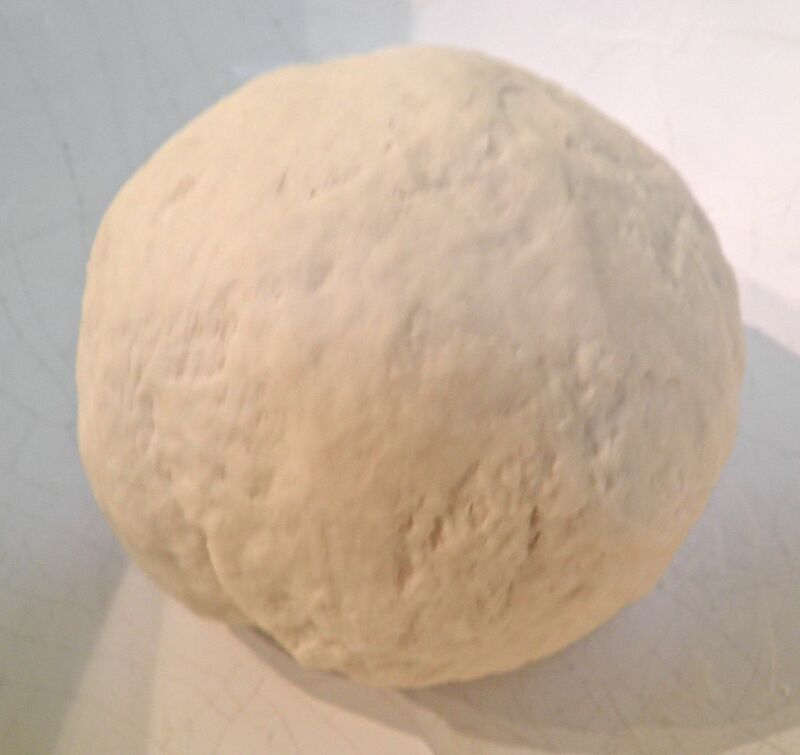 The dough is ready to be refrigerated.